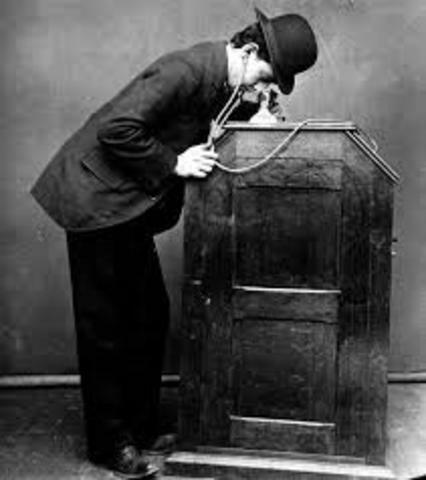 The Edison Corporation establishes first motion picture studio. A Kinetograph production center nicknamed the Black Maria. The first Kinetograph parlor opens on Broadway, and spectators could watch a show for .25 cents. Directed by Edwin S., it was created by Edison corporation. It was created with 14 scenes, and it was only 12 minutes long, while most films were 30 seconds. It shows the basic film edits and elements in this movie. 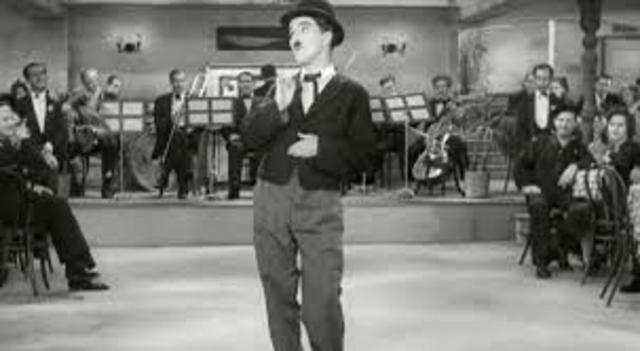 In Charlie Chaplin plays the Little Tramp for his second film, his most famous character. 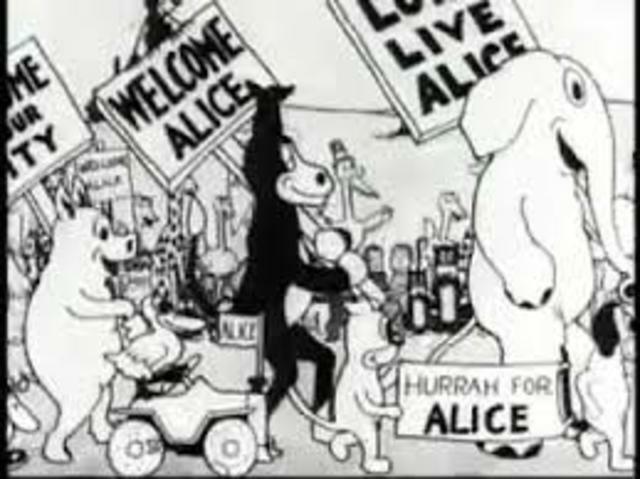 And Winsor McCay uses Gertie the Dinosaur, the first animated cartoon. Each movie was a success. Alice in Wonderland was created by Walt Disney. The movie was about her and her friends putting on a show, and after act one, Alice enters, and shoots down two bad guys. Walt Disney created this short film in 1924. 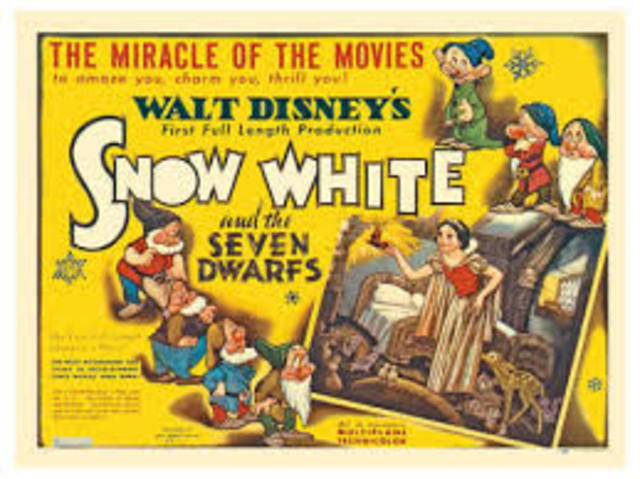 Snow White and the Seven Dwarfs was created in 1937, and it was Disney's first actual full movie. It made 8 million the first year it was released, and it was very successful. 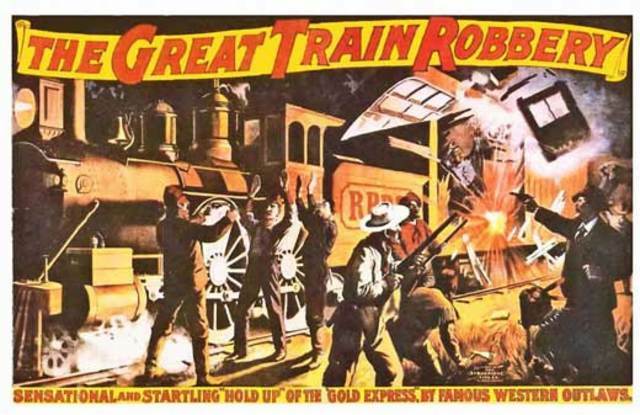 It was nominated for many awards after the premier. 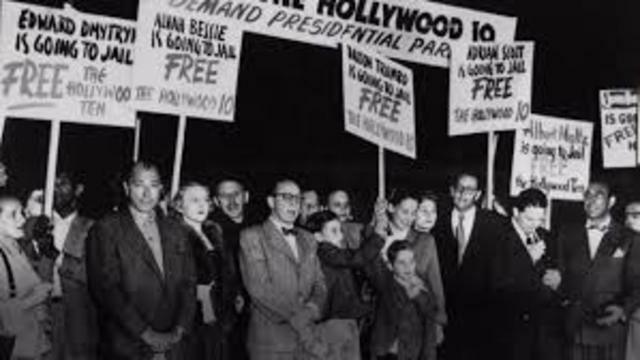 The Hollywood Ten was a group of writers, producers and directors. They were called as witnesses in the House Committee's Investigation of Un-American Activities. They were then jailed for contempt of Congress when they refuse to disclose if they were or were not Communists. 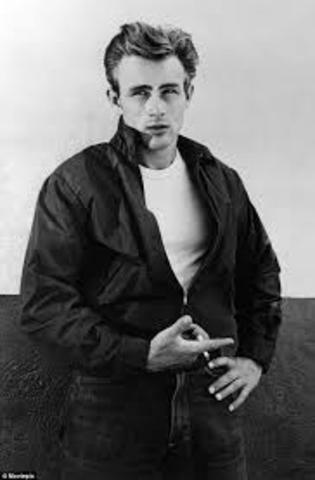 James Dean was very popular and well known for his looks. When Dean died in a car crash in 1955, the film world changed very much. He was only 26 when this happened. Psycho was directed by Alfred Hitchcock and was based off the novel by Robert Bloch. 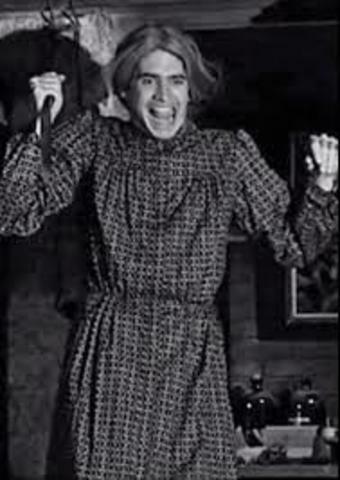 It was about a women who stole money, so she went to Bates Motel, only to be killed by Norman Bates. The movie is a classic, and it has many other remakes and shows such as "Bates Motel." Sacheen Littlefeather was a Native American nicknamed Maria Cruz. 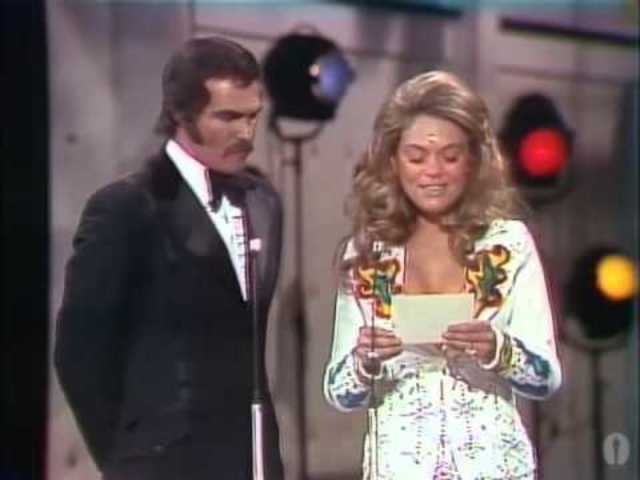 She stands in for Marlon Brando at the Academy Awards in 1972. He refuses his Best Actor Oscar for his role in The Godfather to protest the U.S. government's treatment of Native Americans. 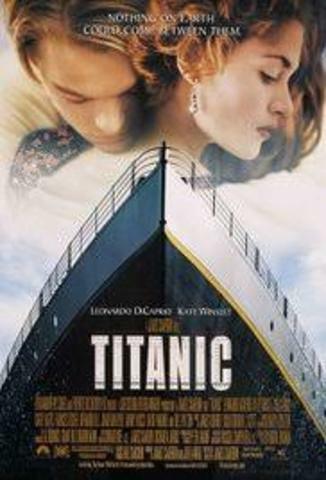 Titanic was directed by James Cameron in 1997. It was a success based off the true story of the boat Titanic. The storyline was about a poor boy and rich girl who fall in love. Sadly, Leo still did not win an Oscar for this movie. The Academy of Motion Picture Arts and Sciences creates a new category for the Oscars: Best Animated Feature. Shrek wins the trophy for this award. 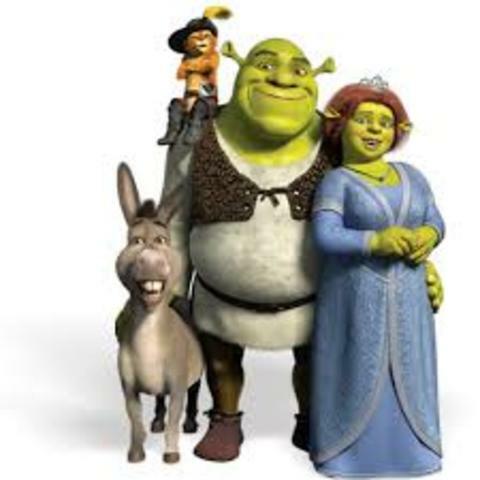 Shrek was about an oger, and after his swamp is filled with magical creatures, Shrek agrees to rescue Princess Fiona for a villainous lord in order to get his land back. The Pruge is released in 2011. This film was directed by James DeMonaco and was about a wealthy family that was held hostage for harboring the target of a murderous syndicate during the Purge, a 12-hour period in which any and all crime is legal. The movie was very successful and left viewers wanting more, so they created a few more movies after.